Following up to an earlier post PENNDOT's Bicycle and Pedestrian Coordinator positions are in crisis. The 12,000 employee agency has reassigned the State position to planning and is currently vacant, while each district has assigned bike ped coordinator duties to a district employee as an extra task. The Bicycle Coalition expects PennDOT to fill the state position quickly as required by federal law. 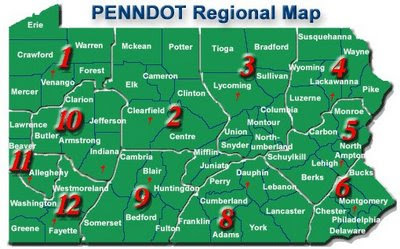 Additionally we would like for PennDOT to consider alternatives to the district coordinators. A possibility that has been talked about for a long time is the option of two or three"circuit riders". Fully qualified full time bike/ped coordinators who would divide their time in multiple districts.